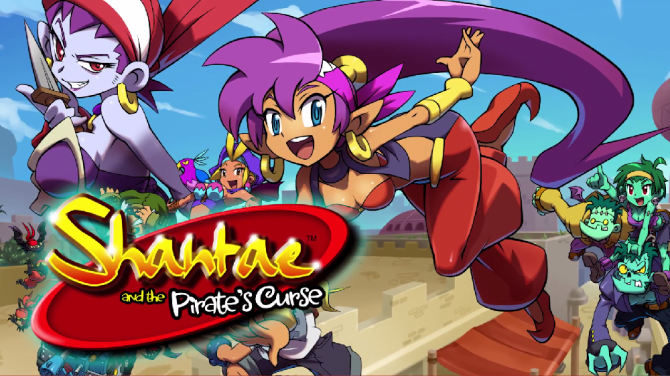 This week sees the release of Shantae and the Pirate’s Curse on 3DS and Wii U eShop, plus Mega Man Zero 2 and Alphadia Genesis. Regular price is £15.99. £7.99 for users who have already downloaded the Nintendo 3DS version of the game with the same Nintendo Network ID. Regular price is £15.99. £7.99 for users who have already downloaded the Wii U version of the game with the same Nintendo Network ID. Game Description: Embark on a brand new adventure with Shantae, the hair-whipping, belly dancing genie. When she loses her magic, Shantae must team up with her nemesis, the nefarious pirate Risky Boots in order to save Sequin Land from an evil curse. As a pirate, Shantae gains new weapons to advance her quest, slay monsters, battle epic bosses…and hopefully get her magic back in the bargain! But can she really trust her deadliest enemy? The third Shantae game is the biggest yet! Beyond Sequin Land lie cursed islands and labyrinths each hiding a new piece of Pirate Gear – Flintlock Pistol, Pirate Hat, Scimitar, Risky’s Boots, and even a Cannon. Upgrade Shantae’s hair and weapons or unlock advanced Fighter’s Moves. Locate maps, return lost Heart Squids, collect rare loot, and laugh out loud at the weird, wild, and wonderfully humorous cast of characters. Unlockable Pirate-Mode, multiple endings, and an unforgettable soundtrack make this one game you won’t want to miss! Game Description: A Battle of Epic Proportions! 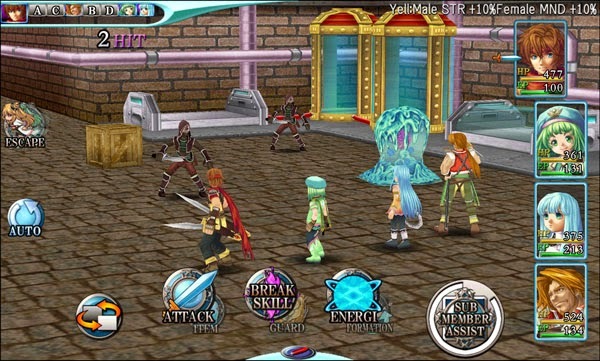 Alphadia Genesis boasts a rich, complex story starring Fray, a member of the local guild, and Corone, a knight. As their journey progresses and conflicting national interests come to the forefront, it becomes apparent that it may take more than a little work on both their parts if their relationship is to weather the foreboding storm on the horizon. 3D battles feature beautifully rendered graphics, dynamic camera angles, and more skills than you can shake a sword at! Learning to harness these skills will allow you to become more adept in battle, which will come in handy, as some of these baddies will seem nigh unbeatable at first! 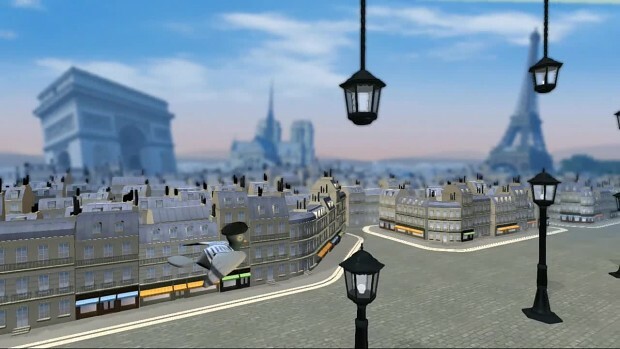 Game Description: Play as a Parisian pigeon and enjoy flying through Paris streets while avoiding lamp posts! Share your score on Miiverse™ and make your way through the top 100 worldwide ranking! Game Description: One year after the events in Mega Man Zero, the hero gets tricked into helping Neo Arcadia’s new commander; becoming caught between Reploids and humans in a new battle to save the world. Blast your way through multiple levels of intense platform-shooter action, using the new Chain Rod to grapple onto ledges, grab items or attack enemies. Also new to Mega Man Zero 2 are Forms – which grant Zero even more powerful abilities, but at a price – and EX Skills which reward the most skilled players with weapons from fallen bosses. Game Description: Rediscover all the pleasure of Mahjong in this timeless classic! Learn how to play and test your abilities by solving 60 boards in Adventure mode, or play a single game at your leisure in Free mode. Stuck in a level? Use your bonus and make the entire board simpler in a split second! Discover the brand new Moving walkway mode: finish the levels more quickly by using the extra tiles that scroll alongside the board. Choose classic or modern tiles and become a Mahjong pro! Game Description: Rediscover all the pleasure of Breakout in this timeless classic! Discover lots of increasingly complex obstacles to get by in the 50 levels of Adventure mode: moving bricks, one-ways, indestructible bricks… Extra balls, inverted screen, strafing… unlock ten bonuses and penalties, each more surprising than the last. Only a few bricks left to break? Take direct control of the ball and aim it wherever you want to earn the victory! Game Description: Take up your weapons, greet your fellow adventurers and head for the field to battle huge, fearsome creatures in Monster Hunter 4 Ultimate on Nintendo 3DS and 2DS! With full online and local co-op play, the fight for the land looms large in this sprawling action RPG! Your first steps in a deep, narrative-led adventure see you join a travelling caravan as its designated hunter, sworn to protect the people from wild monsters that roam the land. Choose your quarry, hunt it down, and despatch it with a combination of weapons and tactics. Setting out, you’ll discover a plethora of new content, including a wealth of arms and armour to forge and customise, and scores of undiscovered beasts to hunt. Terrain is much more vertical than before – assault your enemy from above, and deliver a flurry of blows while holding on for dear life! Description: This retro theme features classic SFX, brown folders, and green icons. Scroll the Touch Screen to see Link fire a sword beam. Description: This theme features classic SFX, blue icons, and folders with missiles. Scroll the Touch Screen to see 8-bit Samus run and fire. Will you be downloading any of these titles? Let us know what you think. Was really hoping Kirby on wii was gonna come out this week, hope it does soon.